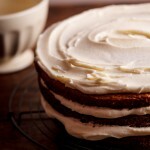 Moist, delicious pumpkin carrot cake with the creamiest cream cheese frosting. The perfect recipe for a tea-time treat and a definite crowd pleaser. So here’s the deal with this cake: It’s pretty much diet food. What else do you call a cake that contains TWO vegetables and a fruit? Well, you could also call it delicious. Or amazing. Or the-best-cake-you’ve-ever-tasted. Whatevs. 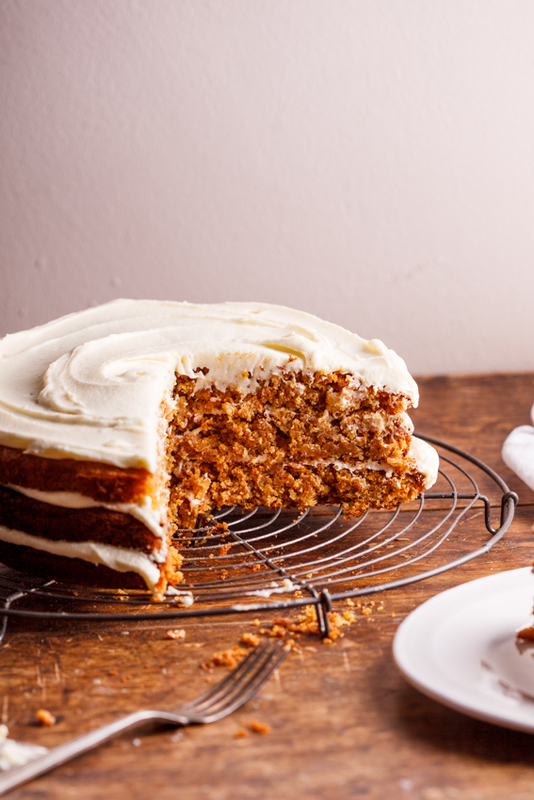 The most important thing is that you don’t feel guilty when you eat one (or two or three or four) slice(s) of this incredible pumpkin carrot cake. And believe me, eating numerous slices isn’t all that hard. How do you make carrot cake moist? Let’s start with the texture of this bad boy. I’m going to use the dreaded “m” word but just deal with it. 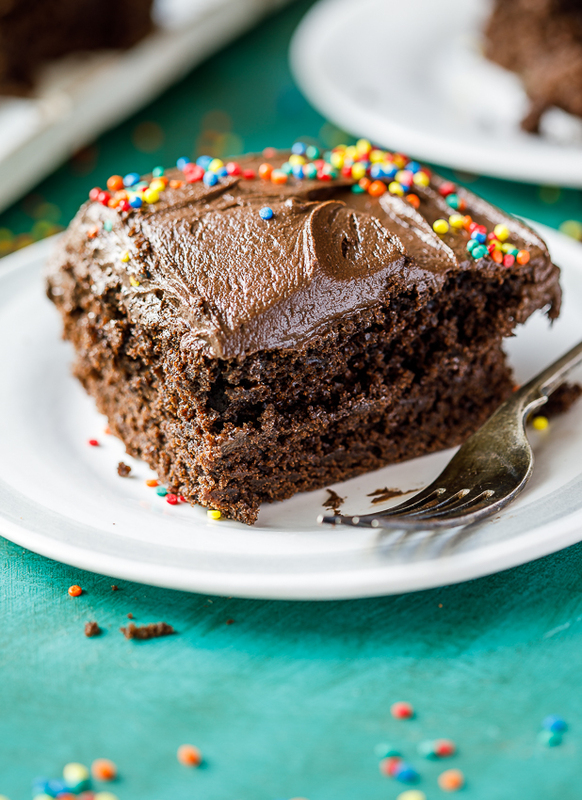 This cake is so super moist, it’s almost unbelievable. This is due to the entire can of crushed pineapple with juice that is added right at the end as well as the cup of pumpkin puree. Both of which add only a hint of flavour but guarantee a soft, moist carrot cake. Then, because of the natural sweetness of the pineapple and the pumpkin, you don’t need to use as much sugar so I only used dark brown sugar. You could use regular white sugar but the Muscavado sugar I used adds an incredibly caramel flavour to the finished cake. This along with the spices and grated carrots results in a seriously delicious sponge. 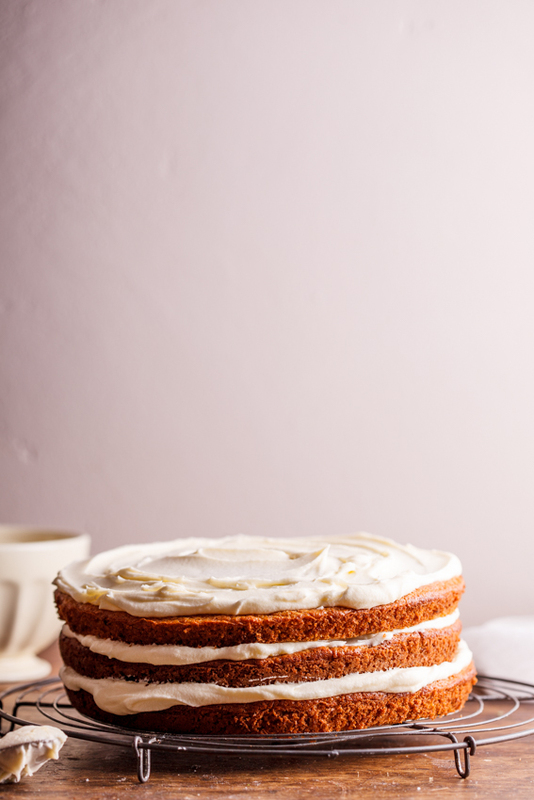 Finish that off with the creamiest cream cheese frosting (cream cheese is by far the best carrot cake icing out there) you’ve ever tasted and you have the best carrot cake recipe you’ll ever taste. Cream butter and sugar together then add eggs. Sift together the dry ingredients then add the dry ingredients and the pineapple juice alternating between the two. Fold in the pumpkin, grated carrots and pineapple then divide between cake pans. Bake until a skewer inserted comes out clean then remove from the oven and cool. Sandwich with frosting and serve. Because this cake is so moist, you can keep it covered and refrigerated for up to a week. Allow to come to room temperature before serving. Pre-heat the oven to 180°c and grease and line 3x 20cm cake pans with baking paper. Add the eggs one a time, beating well after each addition. Sift together the flour, baking powder, baking soda and spices. Add the flour and the pineapple juice, alternatively, to the creamed butter, sugar and eggs and mix until everything has been incorporated. Fold in the pumpkin purée, crushed pineapple and carrots. Divide the batter between the three prepared pans and place in the oven. Bake for 20-30 minute until the cakes are golden brown and a skewer inserted comes out clean. To make the frosting, beat together the butter and cream cheese then add the icing sugar and mix until thick and creamy. Add the lemon juice and mix through then stack the cakes, dividing the frosting between the layers then serve. *This cake will last for approximately one week if kept in an airtight container. 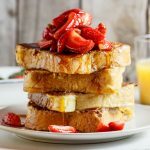 Hello Alida, it’s taken me a while to find this gem of a recipe….I’m just glad I did…. This might be a really stupid question, the pumpkin purée I take it it’s the type one would have to make oneself? ?…..if so if you don’t mind would you let me in on how you make yours…please!!!! Not a stupid question at all. I know you can find canned pumpkin puree in the US but I always just make my own. I simply steam pumpkin until soft and blend until smooth then allow to cool before using. How much weight is a stick or cup of butter? A stick or 1/2 cup is 125g. Is it all purpose flour or cake flour? Either is fine but I usually use cake flour. I, too, want to try turn this cake into cupcakes! What do think of the consistency of the cream cheese frosting though.. Is it it pipeable? I think the frosting might be a little soft to pipe so I would add a little more powdered sugar to give it more stability. Baked this today and even though it’s for tea tomorrow, I couldn’t help but sneak a slice. Absolutely delicious. 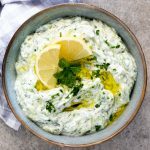 I tried this recipe when you first posted it years ago and it has been my go-to ever since. The cake is always so delicious and the crumb super tender. Great recipe! That’s awesome to hear, thanks so much Frannie. What an amazing looking cake. Totally trying this over the weekend! This would disappear in minutes at our house! Love the flavor combo Alida! Hi Alida, You stated that you used a little dark brown sugar [Muscavado]. Then in the ingredients of the printed recipe it states 1 cup light brown sugar [Muscavado]. So which did you use & do you consider 1 cup of packed sugar a little. You’ll see that I stated “Soft brown sugar” in the recipe, not “light”. Any soft brown sugar will work, I used Muscavado. You could even use white sugar if you wished. I also mentioned that you won’t need “as much” sugar as a regular cake (which typically takes 2 cups or more of sugar. 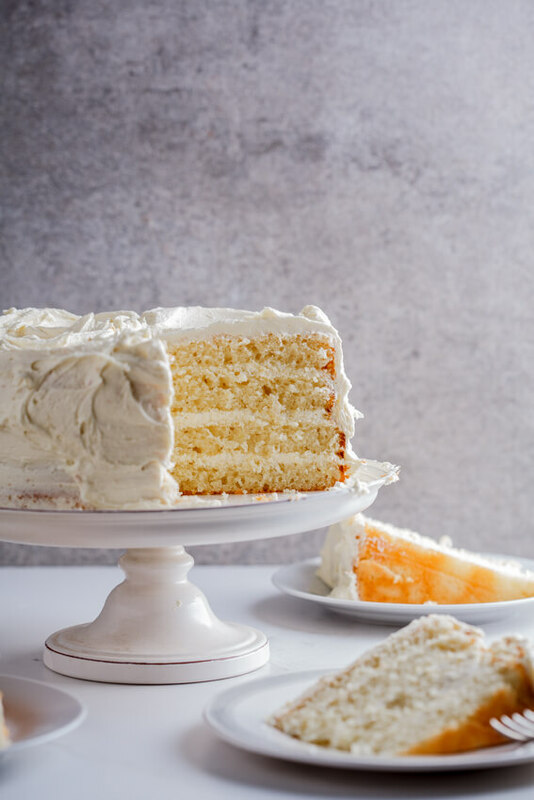 Carrot cake is my favorite cake of all time….this version is soooooo dang pretty I want to kiss it! !…which kind of happens when eating it, lol. 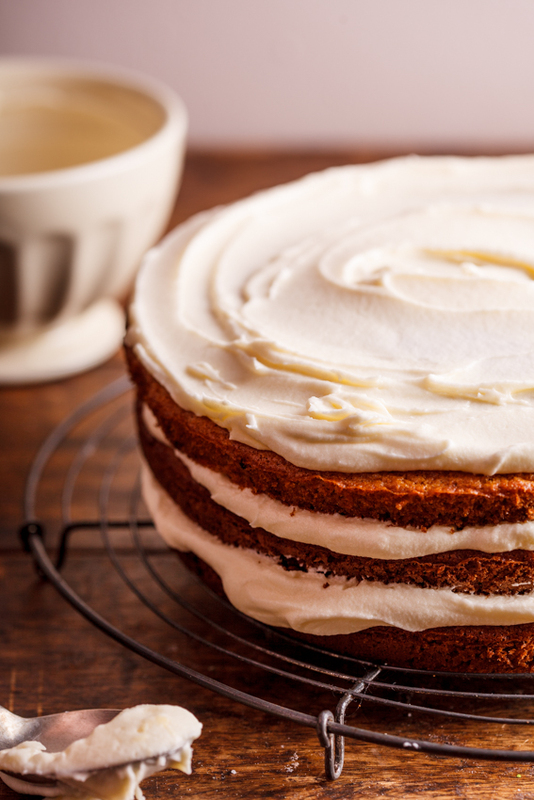 You must make this cake immediately if carrot cake is your ultimate! And then come back and tell me what you thought of it! Is there anyway you could help me adapt this recipe for 12 normal size cupcakes please? It looks delish but a bit large. Svetlana, as this recipe was developed in cake-form it might be a bit hard to adapt it to suit cupcakes. However, this recipe will probably make around 18 standard-size cupcakes.